Pressure washing: For a pressure washing service in Carson City that you can count on every time, trust NightHawk Services. Because it uses a steady stream of high-pressure water, routine pressure washing is ideal for walls, patios, walkways and decks. 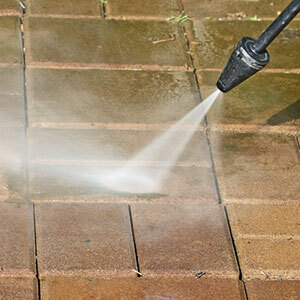 NightHawk Services is happy to offer pressure washing services in Carson City that suit your business’ needs, meaning we can create a custom schedule and work on any areas you see fit. 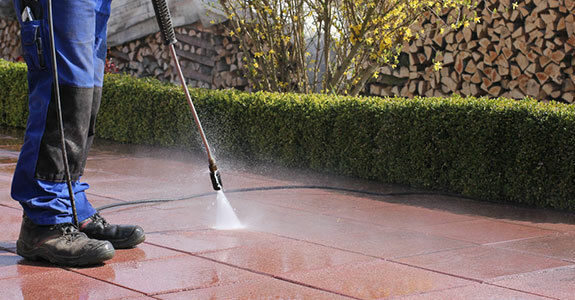 We can provide pressure washing for retail, commercial and industrial spaces. Power washing: In contrast to pressure washing, power washing depends on hot water rather than high-pressure water. For this reason, it is best used for removing stubborn, ground-in items like chewing gum or construction debris from sidewalks, patios, decks, parking lots and more. Our power washing equipment is top-of-the-line, and we’ll work with you to determine the schedule and specific services that are right for your retail, industrial or commercial space. Power blowing: In addition to being the premier pressure washing company in Carson City, NightHawk Services is proud to also offer power blowing services for your industrial, commercial or retail property. Our power blowing is perfect for lawns as well as parking lots and walkways with a heavy tree and plant presence. Keep your property well manicured all over with NightHawk Services power blowing services. To learn more about NightHawk Services washing services, please call us anytime at 775-232-3170. We look forward to assisting you! Call NightHawk Sweeping today for high quality parking lot sweeping and pressure washing at affordable prices.